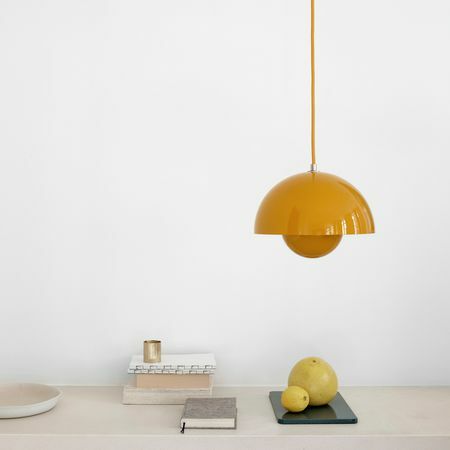 Ikono by Normann Copenhagen is a beautiful pendant lamp with a pure and simple feel. The lamp has a cone-shaped glass cylinder and two colored steel shades in matching tones. Ø 20 cm. - height 17 cm.